Thank you to all who joined us for our third Parent to Parent Forum! Around 75 parents made the trek out on a chilly January evening to hear our parent panelists share their experiences and ask questions about helping students select appropriate classes in middle and high school. The theme of the night centered on being aware of your child’s passions, understanding their personal study habits and academic strengths, and choosing classes that match those criteria. Panelist Lori Little commented that when choosing an academic path for her two daughters, both of whom are accomplished athletes, she “…needed to make sure [they] were making choices to do the things [they] loved.” Other panelists pointed out the rigor of advanced placement (AP) classes, noting that the workload is not for everyone, and not all AP class credit is accepted at all universities. Students who did choose Honors and AP classes are encouraged to choose advanced classes in subjects for which they show a natural aptitude and that they already enjoy. Panelist Mary Frintner discussed her daughter’s experience with BUSD’s Independent Learning Academy (ILA), noting that the flexibility of the class schedule made it possible for her daughter to participate on a competitive cheer squad, which requires a high level of commitment to practices and travel to competitions. Ms. Frintner explained that her daughter has transitioned back to Burroughs High School and is finishing her senior year on campus for the social aspect and to pick up her fine arts credits. 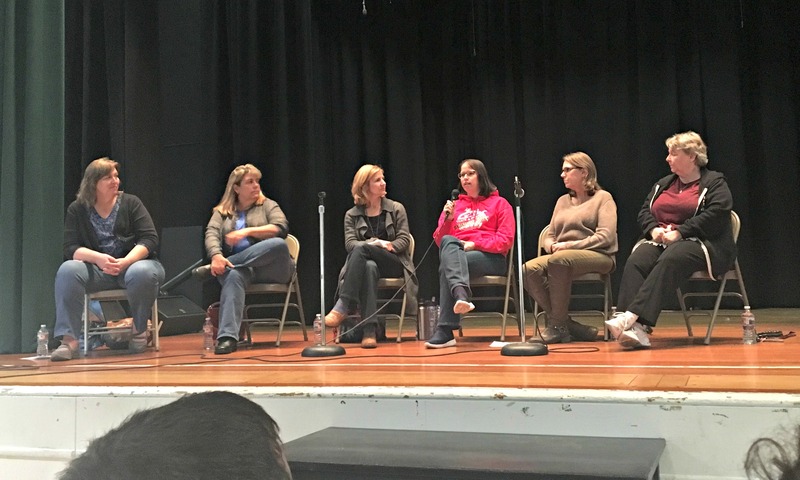 Many thanks to panelists Mary Frintner, Barbara Miller, Diane Hirsch, Erin Clendenin, and Lori Little, as well as host and Burbank Council PTA president Carol Briggs. Please click the link below for the printed materials that were distributed at this event as well as handouts from our prior forums. For more information about our forums, email Burbank Council PTA president Carol Briggs at President@BurbankCouncilPTA.org.